As part of our service, we provide regular free safety inspections to our valued customers. Their electrical safety is very important to us and we wouldn’t feel right coming into their home to do electrical work without pointing out any issues that could jeopardise their family’s electrical safety. We sometimes find outdated electrical wiring, outdated smoke alarms and hazardous electrical issues and always flag this with our customers. This is especially the case in North Shore where there are so many beautiful character-filled older homes that may not have had their electricals updated since they were originally built. Even though we thoroughly investigate the electrical systems of our customers’ homes and point out crucial repairs and replacements that are needed, often, no action is taken. There’s a lot of reasons people tend to put off or avoid making necessary updates to their home. Often the updates are ‘invisible’ so you won’t be able to see and appreciate them. Often people put it off as they are going to be renovating or putting their home on the market sometime in the future so can’t see the value for money in updating their electricals or feel they can live with it until that time. But living in a home with compromised electrical safety puts your family at risk and simply is not worth it. If you have been putting off updates to your home as you will be listing it on the market soon, perhaps think again. You are better off to go ahead and make the updates and replacements your home needs. You understand the importance of making your home as appealing as possible to potential buyers. But what you may fail to realise is that what’s hidden behind the scenes can be a huge red flag for potential buyers and send them scrambling in the opposite direction. Although you don’t want to spend a fortune on a home you’ve outgrown, it is wise to learn when to update home wiring to avoid jeopardising the sale of your home. 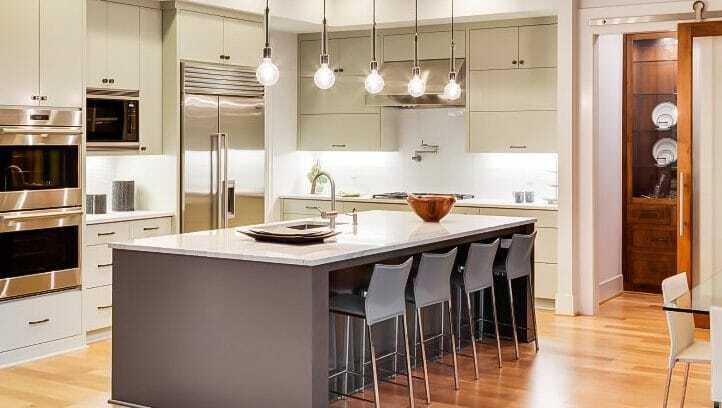 Certainly, if your wiring system is outdated and dangerous it is a smart idea to have electrical rewiring before you put it on the market and to let your real estate agent know you have a brand-new wiring system in your home to give buyers peace of mind. Likewise updating your electrical power points with new ones and USB power points can give your home a great facelift, making your character-filled home appear modern and up to date. New light fittings, if the current ones are looking a bit outdated and tired, are as important, if not more so, than a fresh coat of paint. If you are thinking of putting your home on the market, have a look at your light fittings with fresh and critical eyes and put yourself in the shoes of families who could be coming to inspect your home. Everyone wants modern and new light fittings, inside and out. These days new light fittings don’t need to cost a fortune and it’s a relatively inexpensive investment to make a great impact on potential buyers. Is your smoke alarm up to date? Again, it is not a huge expense to update it with a new one and will avoid an unnecessary red flag once the building inspection report gets done. Making necessary updates and replacements to your electrical systems is an investment but it’s much better to have a character-filled home with ‘move in straight away and enjoy’ and ‘nothing to do’ appeal rather than one that needs repairs and work done, which can result in much lower offers and can deter offers all together. We would be happy to provide you with a free safety inspection with any work we come to do at your home. Please get in touch today on 9477 2550.